Are you struggling to solve the debate between which is better – Gas or electric? Today our Electric Heating Experts based in Fleet are going to help you finally decide which the most suitable option for you is. Naturally, we are pro electric as it is proven to be cheaper, offers easier installation, doesn’t require access to a chimney and is great at heating up smaller spaces such as a home study or bedroom. However, it isn’t as simple as saying that one option is better. There are many factors that will determine which is more economical, efficient and cost-effective for you. So, before you commit to an electric radiator, here are some things to think about prior to making an investment. • Boiler Installation can cost in the region of £2,500 to £3,000 on average depending on where you are based in the UK. • Boilers and gas central heating will require checks on a periodic basis. • Electric radiators can be switched off and offer greater flexibility. • Electric heaters have cheaper installation costs associated with them and can be purchased from the Electrical Heating Experts from as little as £276.00. • Devices can be installed within minutes. • No pipes to worry about meaning our radiators can be located in most areas of the house. • Our EHE radiators are more energy efficient than standard storage heaters. • A great option if you don’t have access to a chimney. 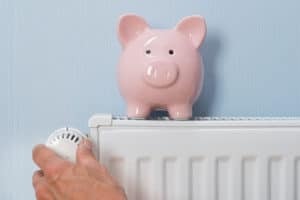 • The running costs of your electric heater will be significantly cheaper if your property already benefits from good insulation as this will reduce the overall heat loss. • If you don’t require long- term heating then electric heating is ideal as it can be switched off when you are at work or away for long periods of time. • By following the tips from our previous heating hacks post you can improve the overall insulation of your home without necessarily incurring additional costs and these tips can benefit you even if you have gas radiators. At Electric Heating Expert we will never push you to make a purchase, insist on home surveys or state that our radiators are the best option for you, we will simply provide the facts to help you make an informed decision and ensure that we are on hand to answer any queries that you may have. In addition, to providing you with our expertise, we provide easy installation instructions for you to follow should you decide to purchase from our range. If you have a large home, access to a chimney and already have a decent boiler installed then gas heating may well be the best option for you. However, that doesn’t mean an electric heater should be dismissed for your conservatory or garage. Alternatively, electric radiators shouldn’t be dismissed if you require heating in your bathroom or suffer from skin conditions such as eczema as our range minimises the drying effect and thus improving your home environment. Has the New Year left you feeling the pinch? No, we aren’t talking about your waistline, rather your purse strings! January is always a struggle, for most of us, especially when it comes to reading your bank statement. It is only natural that keeping your home warm is a luxury that we often neglect to factor into our monthly outgoings throughout the festive period but what if you could heat your home for less? No bubble wrap or foil required. 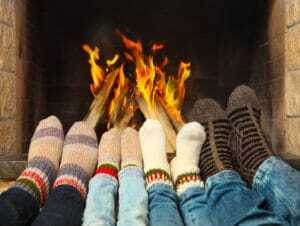 Here are some of our top tips on how you can keep your house warm for less this year. Ensure that you have the appropriate tog rating for your duvet during the colder months. Many department stores will have a guide on the side of the packaging and even have samples for you to feel and look at before making a purchase. Have wooden flooring? Why not consider laying down a few rugs by your bedside? Another great way to save money is to invest in some cute cosy blankets that can be used either on top of your regular bedding or as a way to snuggle up on the sofa with the heating on low. As for those Christmas socks, now is the time to wear them and generally put on a few extra layers. A great way to monitor and reduce your energy consumption usage is to consider installing a smart meter in your home. Luckily for you, if you live in the UK then you can get one of these free of charge between now and 2020. Why not consult your energy provider about their role out plan and you could start saving today. Consider shopping around for the best deal by using an online site such as comparethemarket.com or Uswitch which will provide you with some of the best deals suited to you and your home. You could save yourself £100’s. Don’t worry you don’t need to completely renovate your living room, but by leaving those curtains open during those sunny Winter days and simply relocating that sofa away from your radiator, you could create a warmer home without spending a single penny. If you have a fireplace then you could also consider a balloon to trap warm air from escaping our through your chimney, this can then be deflated and removed when you want to have a fire. You have heard it time and time again, but insulation is the best way to retain heat, from loft insulation, double glazed windows and under-floor heating, but of course, these can all be costly so another much cheaper option is to close doors and avoid draughts by using a draught excluder. Our electric heaters offer a fully programmable control system, lower operational costs as well as flexibility which will enable you to either heat your home or office and rest easy knowing you have one of the best from their categories. All of our Vantage radiators come with a 30-year warranty as standard, with prices starting from less than £300 whilst our Italian built design comes with a 10-year warranty and offers silent operation from less than £400. As well as saving money you will no longer have to worry about bleeding your radiators in preparation for the colder months. Call us on 01252 560770 for more information. Alternatively, why not complete our 2-minute self-survey online for a quick quote from one of our experts. If all else fails, then book yourself a Winter sun break with all of that money that you are bound to save using the tricks above. Happy New Year from us all at Electric Heating Expert!